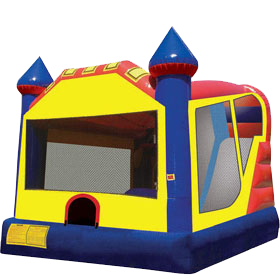 This is our 4-element inflatable combo. 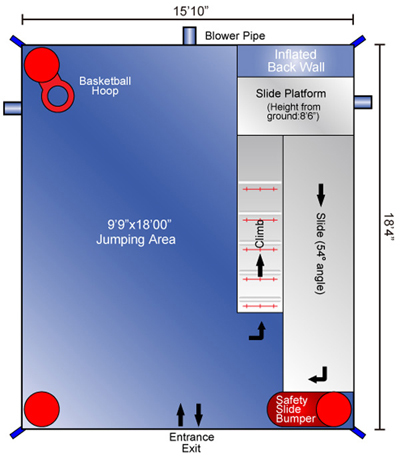 It has a huge jumping area, ladder, steep slide, and basketball hoop. 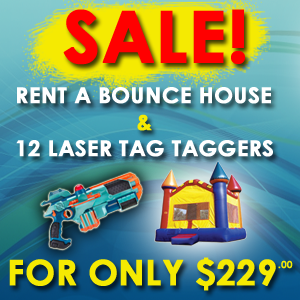 It combines our two most popular items (a bounce house and slide) while adding the basketball hoop for never-ending fun! Take a look below at a 3-D fly-through of the inflatable, or scroll past it to see a schematic. You can now place your pick-up order ONLINE and see instantly if the items you want are available!